Since then, the program has considerably grown; not only did its latest calls for projects welcome a much larger number of teams, but they are now also open to Chilean startups. In total, its ambition is to accelerate 1,000 companies by 2014. More generally, its results so far have been quite noteworthy. Among the startups which have already completed the program, over 40 have already shipped a product – for instance Bungolow, Hadza and Toldo. Companies such as Junar and InBed.me have also managed to secure VC funding, while others, such as TNW BizSpark Rally finalist Babelverse, are attracting increasing attention. “SecureSafe does quite well in Europe, but was looking to expand operations into the U.S. What Entrustet could offer most was both an enthusiastic userbase, our partnerships with estate attorneys and the rest of the industry,” he said. By joining forces, they will let users “plan for [their] digital assets that [they] can be assured will be carried out when [they pass away,” he added. While you may be wondering what’s in it for Chile, it seems Entrustet was well worth the grant it received. Sure, you could see it as an American startup selling to a Swiss group, but it also contributed to build the Chilean startup ecosystem, which is the central goal of Start-Up Chile. One of its key purpose is to promote Chile as an attractive destination for foreign businesses. In this context, it makes sense for the government to invest taxpayers’ money into creating an advocate network. 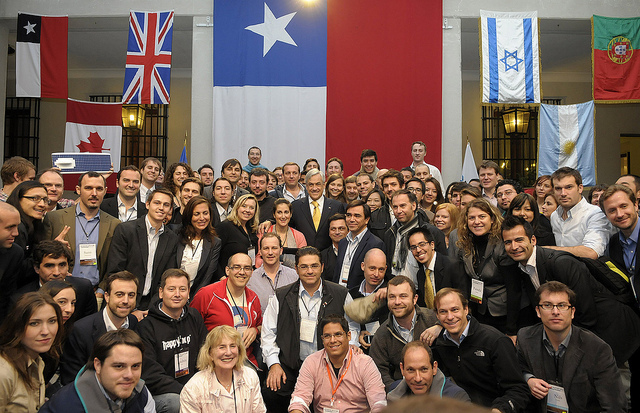 For example, Lustig was a speaker during the official event during which Chile’s President Sebastián Piñera personally welcomed Dave McClure and his Geeks on a Plane delegation (see our previous story). While it was certainly one of Lustig’s most memorable moments in Chile, it also helped spread the word about Chile and its startup scene in Silicon Valley – as a matter of fact, a sizable number of applicants come from the US. As we reported, the Chilean event management startup Welcu is one of the most promising startups in its home country. After participating in 500 Startups’ summer program, it is now in the process of expanding to Argentina, Colombia and Brazil. In other words, chances are that Start-Up Chile’s grant to Entrustet was well worth its while when it comes to boosting entrepreneurship across the country.